18feb22 – Foreign bases ban: Is China exempted? Foreign bases ban: Is China exempted? THE BAN on foreign military bases is still in the Constitution (Article XVIII, Section 25), so we have been waiting for President Rodrigo Duterte to announce what he intends to do about China’s building bases on Philippine maritime areas. On Monday, in a speech before the Chinese Business Club, President Duterte preached tolerance, downplaying the sinister nature of the military bases that China has built rapidly on features in the West Philippine Sea. It was silly to think the installations would be used against the Philippines, he said, adding that China was just beefing up its defense capability against the United States. Washington has served notice that it would continue to keep South China Sea lanes open to navigation. Since some of the military outposts or facilities built by China are within Philippine territory, a reasonable mind would think that they should be covered by the constitutional ban on foreign bases. Has President Duterte or Foreign Secretary Alan Cayetano brought up the ban in meetings with their Chinese counterparts? If they did, where are the official minutes? Whether they did or did not, it is high time they informed the Filipino people – or at least the Senate — in view of the advanced stage of militarization of the WPS isles, especially Subi, Mischief, and Fiery Cross reefs in the Spratlys group close to Palawan. WHILE the President is the country’s spokesman in foreign relations, under the Constitution his conduct of diplomacy, including the entering into treaties and international agreements, must be with the advice and consent of the Senate. 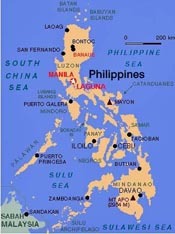 The definition of the Philippine territory will crop up during the planned revision or amendment of the Constitution. Aside from the unresolved Philippine claim on Sabah (North Borneo), the status of disputed features in the West Philippine Sea will be brought up. We cannot blame observers asking if the revising or amending of the charter has figured in any unreported understanding that the President may have discussed with Chinese leaders in exchange for massive development loans, grants and investments, among other things. On Panatag (Scarborough) shoal, Duterte disclosed that China President Xi Jinping has promised not to build any structure on that traditional fishing ground of Filipinos, Chinese and Vietnamese some 120 nautical miles west of the Zambales coast. But Filipino fishermen have been complaining that Chinese Coast Guard vessels and fishing boats were crowding them out of Panatag. Still upbeat, Duterte said that talks were ongoing for the joint exploration and mining of Philippine maritime resources. In advance, he talked of a two-thirds/one-third Philippine-China sharing. The President did not explain, however, what was to be shared two-thirds/one-third. Was he referring to the sharing of costs, or gross earnings or net profits? • Nobody tried to stop China’s buildup? WHEN pressed to explain why Duterte has allowed the militarization of WPS features to the point of virtual surrender of Philippine territory, administration apologists’ usual retort is to ask what previous administrations had done about it. A sample of what had been done was the filing in 2014 by the Aquino administration of a case against China with the Permanent Court of Arbitration at The Hague. The action won in 2016 a grant invalidating the Nine-Dash Line theory that China uses to claim virtually all of the South China Sea. That victory of Manila could have been used as legal, diplomatic and political leverage, but Duterte cast it aside as he cozied up to Beijing and pivoted away from the United States. Shortly after, reports came out that China was transforming Mischief Reef in the Spratlys into an island in violation of the arbitral ruling based on the United Nations Convention on the Law of the Sea that China and the Philippines, among more than 100 nations, had signed. Periodically, photographs showed continued Chinese militarization in the WPS. By the end of 2017, China nearly completed installing military facilities in its “big three” Spratlys islands – Subi, Mischief, and Fiery Cross reefs – complete with airstrips that can handle jumbo jets. The US-based think tank Asia Maritime Transparency Initiative has reported that China is likely to be using Fiery Cross (Kagitingan Reef) as its intelligence hub in the Spratlys.